Elisabeth James Antiques furniture warehouse holds a huge stock of large antique dining tables, antique Georgian dining tables, antique mahogany dining tables, Victorian dining tables, antique Regency dining tables, antique oak dining tables, antique refectory tables, wind out tables, antique farmhouse tables, antique sets dining chairs, etc. Commenced in 1878 on Cork’s South Mall selling seed and farming implements, John Atkins & Co. has a long history of 135 Years in the domain of farming machinery, garden machinery, plants and garden accessories. Over the years, Atkins has grown, acquired, moved and diversified in response to changes in Irish life and farming. Atkins has the most promising solution for every farm and garden. Celebrating over 11 years at our showroom based at Blackminster near Evesham, we have expanded and opened another larger showroom at Stratford Garden Centre’s Shopping Courtyard. Interiors by Ali Foulds Ltd create & produce inspirational interior designs for domestic and commercial properties across Worcestershire, Warwickshire, Gloucestershire and the Cotswolds. 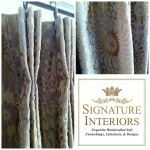 Interior design, measure, make and fitting service. 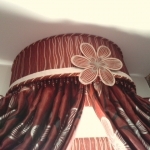 Supplying luxury custom made sofas, armchairs, footstools, headboards, curtains, blinds, cushions, bedspreads, runners, throwovers, the list goes on……….plus specially sourced lamps, mirrors and occassional furniture. Main stockist of Farrow & Ball Paints and Wallpapers. Wide selection of fabrics, trimmings & wallpapers collections from Designers Guild, Osborne & Little, Nina Campbell, Zoffany, Harlequin, Sanderson, GP&J Baker, Bakers Lifestyle, Mulberry Home, Blendworth, Colefax & Fowler, Jane Churchill, Lewis & Wood, Romo, and many more………..
Signature Interiors are masters in the design and creation of high quality bespoke, made to measure Soft Furnishings, Upholstery and Interior Designs. Our focus is entirely on the provision of impeccable handcrafted work using traditional, time honoured skills and techniques combined with the vanguard of modern design and technology. 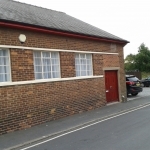 All work is completed in our own fully equipped Studio and Workrooms and clients are welcome to arrange a time to visit The Studio to view their work in progress, browse through an extensive range of fabrics, poles and supplies and to discuss their requirements directly with Liz Cox. 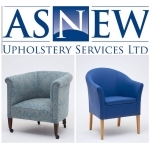 We uniquely offer a Soft Furnishings, Upholstery & Interior Design one-stop complete service; from free advise and quotations through to bespoke interior design drawings, impeccable fabrication, professional installation, hanging and dressing and room staging. Our team’s experience total more than 25 years in these time honoured crafts and are pleased to provide impeccable quality as our standard. Our service is primarily centred in the Home Counties and London (Hampshire, Berkshire, Oxfordshire, Surrey, Wiltshire) and Bermuda but we also undertake commissions from around the world. 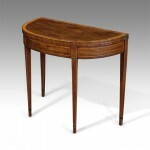 At Antique Oak Furniture you will find one of the most stunning collections of antiques. 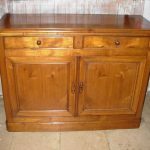 Right from the Antique Medieval artifacts, Gothic Furniture, Antique renaissance furniture to a variety of antique oak furniture items such as antique oak coffers, antique oak cupboards, antique oak dressers and antique oak mule chests, just to name a few. 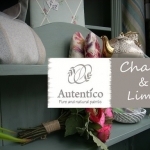 Catherine Charles supply the Interior and Soft Furnishing trades with bespoke headboards and pelmets made up in customers own fabrics. 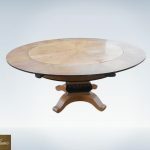 See our collection of antique pedestal desks, antique desk chairs, antique side tables, writing tables, antique roll top desks at our Tudor rose antiques shop in UK. Furnish your home with antique oak furniture and oak antiques. We have passion and experience in supplying Tudor oak furniture, welsh oak, German and French oak, antique country furniture and gothic furniture. As a specialist in soft furnishings, I am passionate about creating beautiful, stylish homes for my clients to fall in love with. 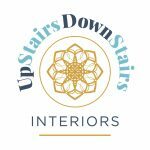 So whether it’s advice on a single blind, curtains, colour schemes, furniture, or a whole house that requires attention, I will work closely with you, offering friendly informed advice and a selection of high quality products and brands that I’m sure you’ll fall in love with. 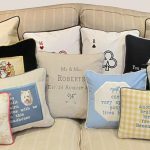 I work with a huge range of quality suppliers, which allow me access to beautiful fabrics, wallpapers and other home accessories that are simply not available on the high street. All the bespoke items are handmade with the highest possible attention to detail, meaning the end result is something totally unique to you and your home. I will visit you at a mutually convenient time (evenings and weekends are no problem) to discuss what sort of fabrics and finishes would be most suited to you, your home and budget. Measuring up and offering advice on the most suitable fabrics and window dressings is all part of the service, whilst the availability of an expert curtain fitter means that you needn’t lift a finger, or indeed leave your living room, throughout the entire process. 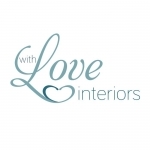 With Love Interiors also offers a full design service. 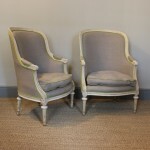 Browse Thakeham Furniture to find wide range of high quality period antique furniture including regency furniture, Victorian furniture, and Georgian furniture.